The TenPoint Pro Lite Carbon Arrow is the best crossbow arrow in terms of accuracy, durability, build quality, user feedback, and long-term value. Bow hunters can trust this arrow to fly where it’s aimed and go right through the game and into the ground. 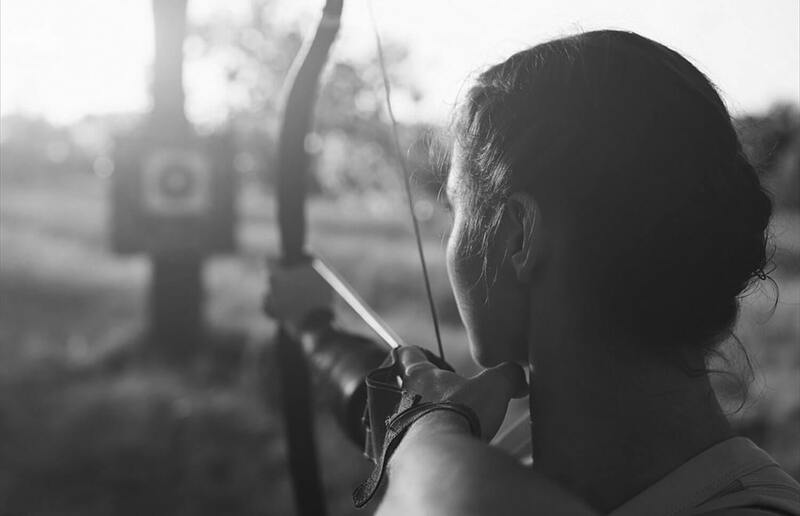 The terms “bolts” and “arrows” are used interchangeably to describe the projectiles of a crossbow. However, technically a crossbow bolt is a projectile without vanes or fletchings at the tail (in other words, like a thin and long bolt). 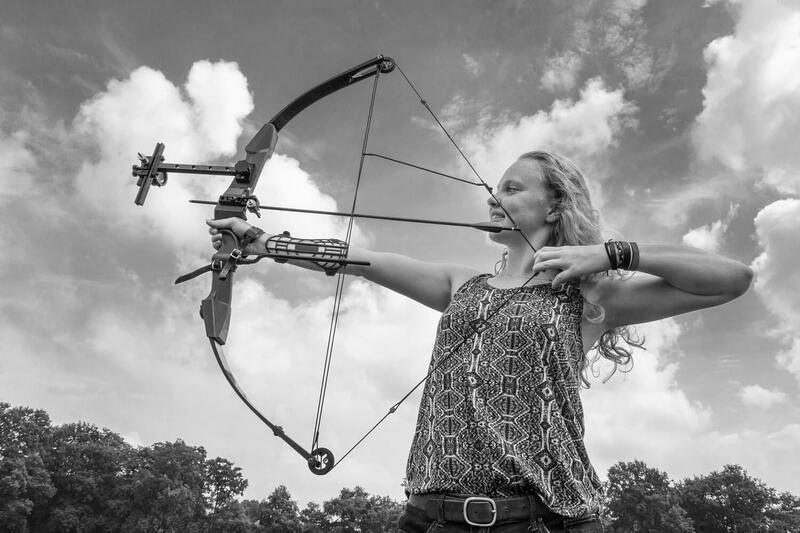 Like the feather at the back of a medieval arrow, vanes are used to help keep the projectile straight in the air. Without the vanes, the arrow (or in this case the bolt) would fly even faster but would have difficulty hitting a medium-range target on a calm day. A crossbow is only as deadly as its arrows, much more so than bullets to a gun. Even the most awesome crossbow doesn’t have the power and energy of the wimpiest firearm. It’s very important to have the best arrows that one can afford. The good news is that they can be reused again and again, as long as the shaft isn’t bent or broken, and better arrows are also more durable. The most important thing to consider when shopping for arrows is to make sure the specs meet your crossbow’s requirements. The crossbow’s velocity rating is based on the exact arrow that it was designed with. Heavier and longer arrows than recommended will affect your crossbow’s velocity and trajectory while lighter and shorter arrows may damage the crossbow and cause severe injuries from accidental firing. 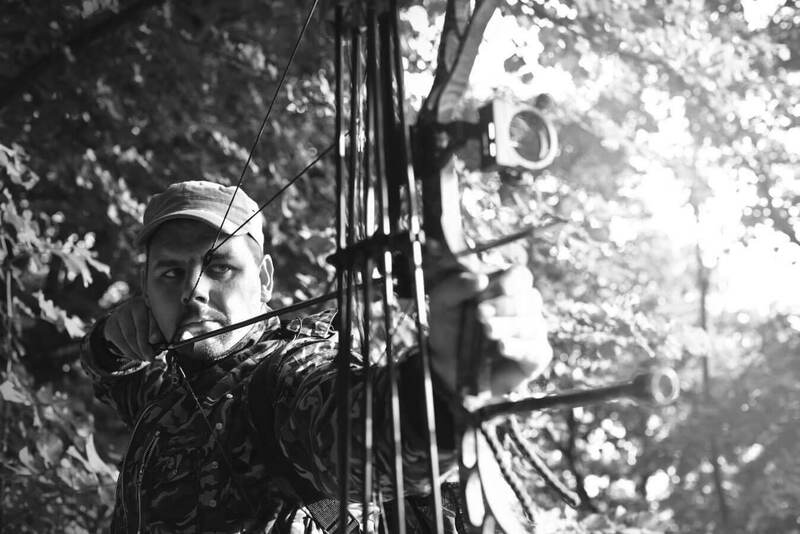 Here are our picks for the best crossbow arrows. They don’t have to be the same brand as your crossbow. The Barnett carbon arrow is a perennial best seller for good reasons. It is one of the most affordable carbon arrows from a very popular crossbow manufacturer. Modern crossbow arrows are made of either carbon, aluminum or carbon composite for their lightweight. However, since carbon arrows are thicker than aluminum arrows of the same weight, they are often more durable in comparison. These arrows are 20-in long and weigh 13.78 grains per inch. They are equipped with half-moon nocks and come with 24F 100-grain field points. Field points are used for target practice only for they don’t have the penetration for hunting games. An arrow equipped with field point will hurt the animal but not always kill it. The field point is detachable and for hunting you’ll have to swap them out for broadheads. These Barnett carbon arrows are the improved version with a thicker wall for enhanced durability. The company stands behind the arrows with a limited 5-year warranty. At 20 inches and 13.78 grains per inch, this arrow weights 375 grains total including the 100-grain field point. The half-moon nock keeps the arrow in place on the crossbow. Crossbow arrows come with either half-moon, flat, Omni, or capture nocks. These Barnett arrows are equipped with half-moon nocks because Barnett recommends half-moon nocks for all their crossbows. Check with the manufacturer of your crossbow to see what they recommend. The Barnett carbon arrow keeps a true path and has good penetration. It is easily the most reliable and durable crossbow arrow in its price range. The Wicked Ridge crossbow arrow is the best aluminum arrow available. The aluminum shaft is made by Easton Archery, the world’s leading manufacturer of archery products for both hunting and competition. One advantage that aluminum has over carbon is a better coat of paint. You can always find more attractive paint job on aluminum arrows. 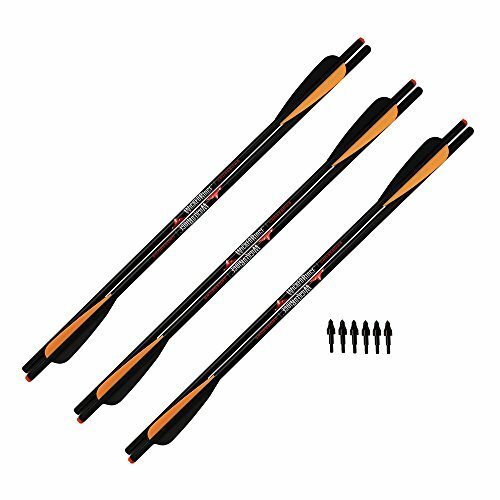 These stylish Wicked Ridge aluminum arrows in luxurious black and red and orange trims are 20 inches long. Like most other arrows these ship with field points. 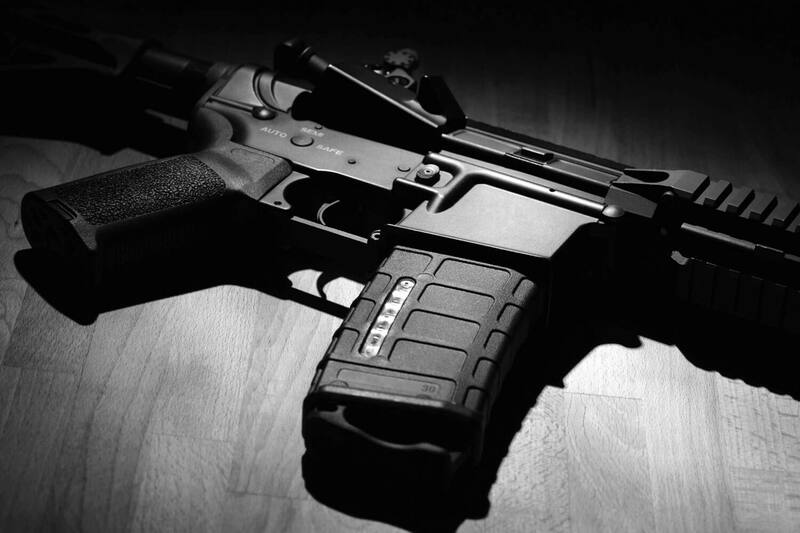 The combined weight is 448 grains. They are equipped with high-quality Norway DuraVanes and flat knocks. TenPoint recommends flat nocks for all TenPoint and Wicked Ridge crossbows. Check with the manufacturer of your crossbow if you’re not sure. The strength of the Wicked Ridge aluminum arrow is its deadly kinetic energy, as long as your crossbow can handle the higher weight. The weak point is the aluminum shaft bends more readily than a good carbon shaft. If this arrow hit a bone, it is likely to bend and the vanes tore off. But really, you would be too exhilarated with the kill to care about the arrow. The Pro Lite carbon arrow is TenPoint’s most accurate crossbow arrow. It’s a fool’s task to find a more accurate arrow than the TenPoint Pro Lite. The Pro Lite might not have the knock-down power of the TenPoint Pro-V22 but it’s quite easily a better arrow overall. 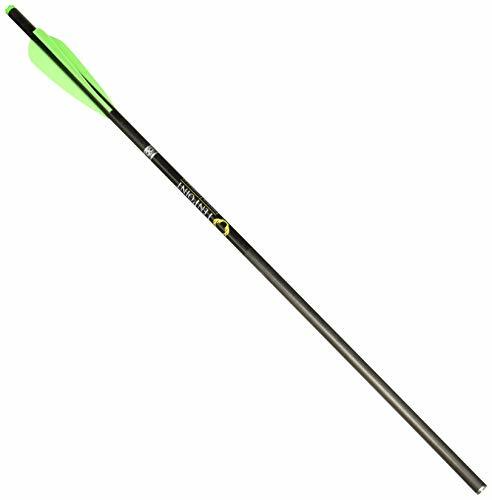 The TenPoint Pro Lite is a 20-inch long arrow with carbon shaft. It’s equipped with EP-40 Elite Plastifletch vanes (by Arizona Archery Enterprises, Inc.) and TenPoint’s Superbrite Omni-Nock, both in matching neon green. Each Pro Lite arrow weighs 370 grains including the 100-grain field point. One grain is 0.0648 gram. As to why the unit of measure is called a grain, perhaps it’s related to one grain of sand? Here’s a verse from the Bob Dylan song called Every Grain of Sand: “Like every sparrow falling, like every grain of sand.” Even as people don’t exactly hunt sparrows with a crossbow, it sure appears to make sense! TenPoint Pro Lite arrows are priced at the higher end but worth every extra dollar. They are too accurate and durable not to. User reviews are nearly unanimously glowing. There are satisfied owners out there who have used these arrows to take down black bears and giant elks. At the end of the day, the best arrow for you is the one that matches your crossbow the best. Some models are designed with 20-inch arrows, others with 18-inch arrows, and still others with 16- or 22-inch arrows. What we have presented here are the best 20-inch crossbow arrows, which are the most common length at the moment. The best-selling Barnett carbon arrows are the best value in durable carbon arrows. For hunting purposes, you might want to go with the heavier Wicked Ridge aluminum arrows for additional kinetic energy on impact. The drawback is that the Wicked Ridge is not particularly durable, so you’re perhaps looking at one arrow per kill. Neither one is nearly as accurate as the TenPoint Pro Lite, the best crossbow arrow that we’ve ever come across. The Pro Lite has it all. These arrows are deadly accurate and highly durable. And they do without sacrificing penetration power. They are nearly 60 to 70% more expensive than our value picks but the price difference might prove inconsequential in the long run due to their durability.